Your San Ramon Realtor Real Estate Review - Planning to Buy or Sell a San Ramon Home? Take a moment to review this San Ramon city information. Don't hesitate to call with questions. Blending identities as a bedroom community and major employment center, San Ramon’s impressive growth over the past decade was the result of a single decision. When developers decided to transform 580 acres of orchards into Bishop Ranch Business Park in the 1980s, the complexion of the community changed. Today, over 16,500 people are employed at the park, serving as the regional headquarters for giants like Pacific Bell, Chevron, AT&T, ROLM, and IBM. Domestic and international companies agree that San Ramon has the right combination of “room to grow” and an excellent innovative environment. The dizzying pace of prime development has amazed long-time residents who still remember the days of driving to Danville for groceries. The construction of Interstate 680 further opened the area to waves of new subdivisions and commercial growth. Among its impressive amenities, San Ramon now claims several shopping centers, a hospital, library, community center and senior center, a golf course, country club, swimming pool and numerous parks. Fortunately, the transition from a residential and agricultural village into a bustling business center has been admirably planned and controlled to maintain a quality image. Parks, fountains, waterfalls, and acres of rolling lawns surround modern office buildings and industrial parks to create a truly beautiful living environment. East Bay regional recreational amenities are superb, providing thousands of acres of prime wilderness, trails, and nature preserves. 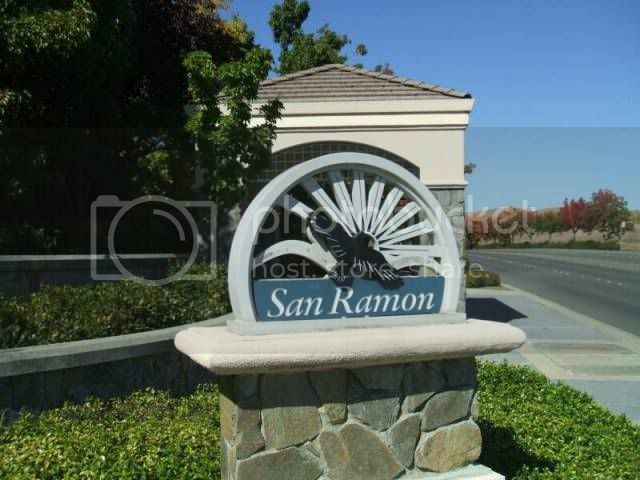 View more San Ramon Real Estate? Agent's affiliated with The Gregori Group are among San Ramon's top agents and are experts regarding San Ramon Real Estate. They are members of the Bay East Board of San Ramon Realtors, as well as the California and National Associations of Realtors. As California Licensed Real Estate Agents practicing in San Ramon, they will provide you with responsive, enthusiastic service whether you are interested in buying or selling your home (house) in San Ramon or other East Bay Cities. The Gregori's are broker/owner's of The Gregori Group a team San Ramon Realtors representing San Ramon clients in the processes of buying or selling San Ramon real estate. With a 25-year background in real estate investment and sales, The Gregori Group has the knowledge and expertise to help you make critical decisions about one of the largest investments of your life .